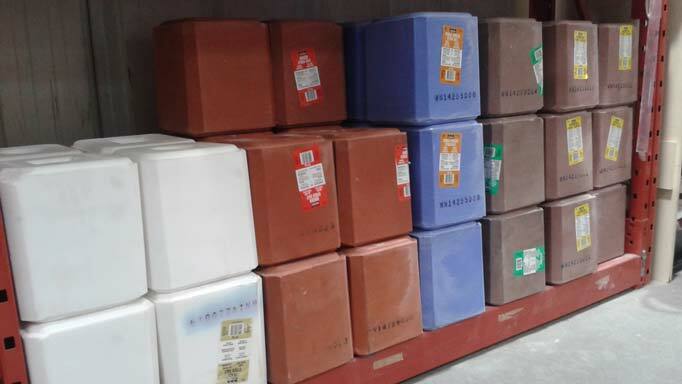 As your horse’s workload increases, so will his nutrient requirements. 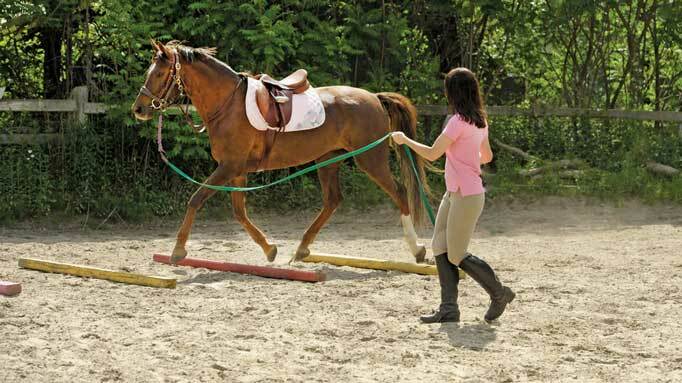 Take a look at two examples of how to provide a balanced diet for a horse starting light work. Horses coming into work for the season, or for the first time, will start with light exercise and eventually get into moderate, heavy or intense work, depending on their career. For light work, the biggest change to their requirements is going to be energy (calories of digestible energy per day), with smaller increases of the nutrients protein, calcium, phosphorus and the electrolytes – sodium, potassium and chloride, due to losses in sweat. Your horse’s caloric requirements will increase as his work level increases, and the best way to make sure you’re meeting his energy needs is to monitor his weight (even using a weight tape) and body condition score (if he’s eating more energy than he needs, he’ll gain weight as fat; and if he’s not eating enough calories, he’ll lose weight). If given the opportunity, horses will consume between 1.5-2.5% of their body weight in forage (hay, dry pasture). I personally prefer to maximize forage intake for several reasons. It can provide significant calories, protein and minerals for a horse, as you can see on the graphs on page 19 (nutrients from hay are shown in green). Additionally, by maximizing the amount of forage offered, horses will spend more of their time ‘foraging’ – which will decrease the amount of downtime they have, that could lead to boredom and potentially increase the risk of them developing stereotypical behaviours such as weaving or cribbing. 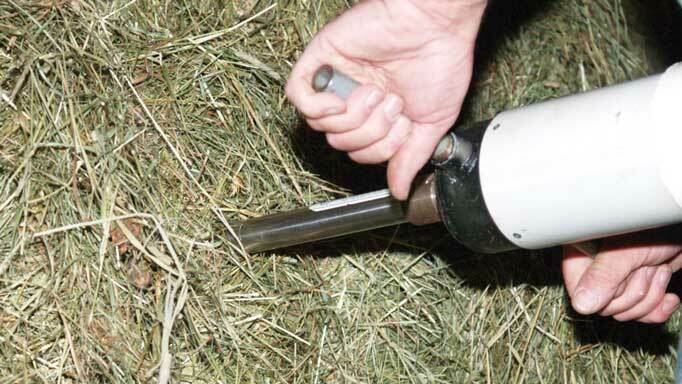 We also know that forages provide ample fibre that can help keep the digestive tract healthy. In Example Diet 1, I have balanced the diet using 2% of body weight and grass hay (such as timothy or orchardgrass). Because the hay does such a good job meeting almost all of the energy requirements for this horse, only a small amount of additional energy (coming from oats in this example) is needed, and the diet is supplemented with salt and a vitamin/mineral mix. In fact, if the horse was left with free choice hay, he might consume more than 2% of body weight and would not need any oats at all (2.2% of body weight in hay would sufficiently meet energy requirements). In Example Diet 2, I decreased the amount of hay offered (to 1.5% of body weight) and offered a commercial grain mix instead. In this year’s series, equine nutritionist, Shannon Pratt-Phillips, PhD, will provide some example diets for horses in different classes, but remember these are examples, as each horse is different. 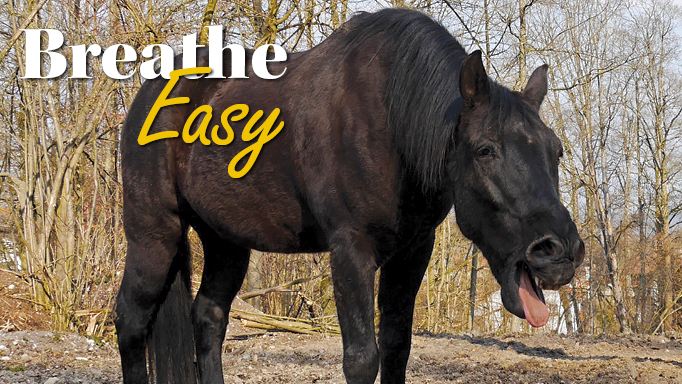 Get advice on how to manage, feed and medicate a horse with respiratory illness. 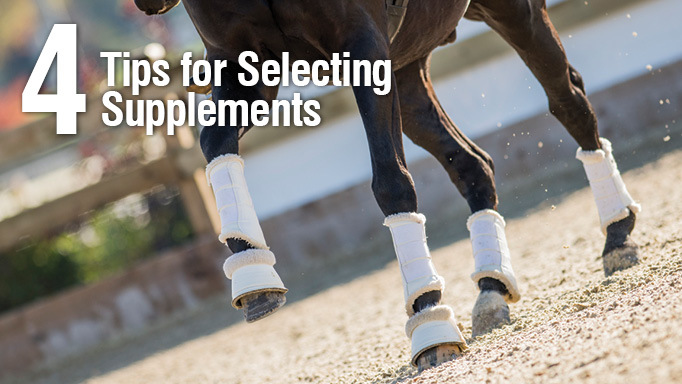 Learn how to choose a the right supplement for your horse's needs.